I am giving away two great books - one for each winner. I loved this book! You can read my review here. Discover the magic of a little black dress! You can read my review here. 1) Leave a comment with an email address. If you have a preference for either one of the books, state it. You can only win one book. *Giveaway ends Sept 7, 2011. To enter more giveaways on the Back to Books Giveaway Hop, visit the link page of participating blogs. Both books are excellent choices thank you! Thanks for the giveaway. 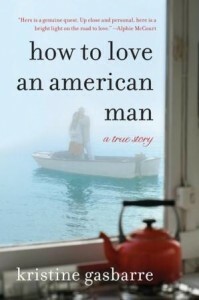 I would love to read How to Love an American Man. Would love to enter the giveaway! If I had to choose one, I'd pick Little Black Dress. Thanks! I'd love either of these! Thanks for the great giveaway! I'm reading Little Black Dress right now so I'd love How to Love an American Man. Its been on my wish list for a while now. Thanks for the opportunity - either book looks good! I would like the Little Black Dress. I am a gfc follower- Christine A.
I would love to read Little Black Dress! Thanks for the great giveaway! Both books sound great (though admittedly, I've had my eye on How to Love an American Man for awhile!)! I'm on the giveaway hop too, so I hope you'll stop by and see what I have up for grabs! I'm a follower via GFC: Carly W.
Please enter me in the draw, and thanks for the giveaway! I don't have a preference - they both sound great! I would like either book please. I would like little black dress! Thank you for taking part in the hop and for this excellent giveaway. 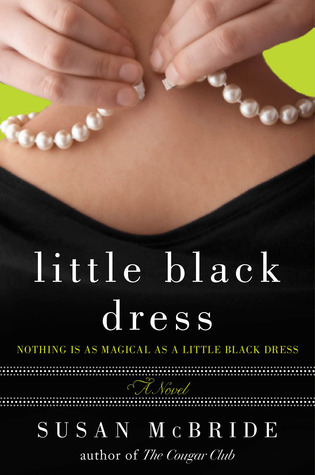 Please count me in to win Little Black Dress, I really want to read this book. Thank you! How To Love An American Man would be my choice! Best wishes and thanks for a chance to win this fabulicious giveaway! Either book would be great. I prefer Little Black Dress. I would love to win either book! Both are great to me! Thanks so much! I would love to win either. Thanks!! Thanks for the great giveaway. I would love to read Little Black Dress. Thanks for the giveaway. I am participating in the blog hop as well. Looking forward to staying connected. Either book looks good to me! Thanks for the giveaway! I would honestly be happy with either book. Two great books@ Thanks for the giveaway! I would like to win either book. Thanks! little black dress is what i would like. Both of the books sound good. Thanks for the chance to win one. I am a current GFC follower as Becca. thank you for the giveaway! I'm interested in the Little Black Dress. Thanks for taking the time to do this giveaway. Hi! Thanks for having this giveaway!!! Here is my first entry!! would love to win either book! I prefer Little Black dress, but both are great :) Thanks for the giveaway! Thanks for the giveaway. I would be happy with either book.